New Year's is coming up fast, but you still spend it partying like the czars or watching fireworks from a snowy hot tub. 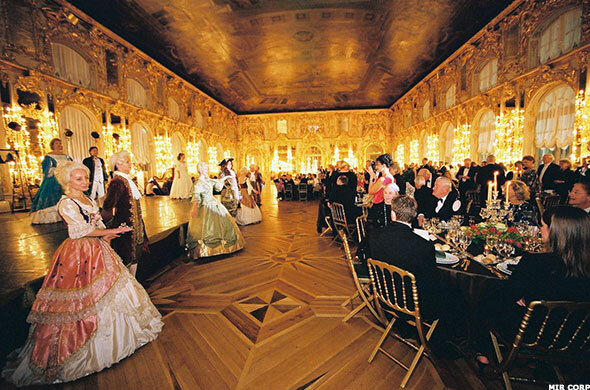 SAN DIEGO (TheStreet) You can still spend New Year's dancing the night away in an opulent palace in a small town outside St. Petersburg, once home to Russian czars and Catherine the Great. The 58-room Catherine Palace originated in 1717 and has been hosting lavish affairs for Russian royalty ever since. For New Year's Eve 2013 the palace party, known as the Czar's Ball, will include opera singers, ballet, choirs, ice sculptures, a lavish imperial dinner catered by French chefs and more. "There is so much going on in terms of cultural entertainment. It's a total champagne and caviar type of affair for people who want to imagine what celebrations were like during the time of the czars," says Annie Lucas, vice president of MIR, which offers the opportunity as part of a 10-day Russia tour. "The fact that the ball is held in this spectacular palace it's almost a bucket list type of thing," Lucas says. "This is for people who want to do something very different and also very traditional." There is still time to book your tickets for the ball. MIR has slots available on its Dec. 29-Jan. 7 Russian tour, which costs $5,595. Tickets to the ball are an additional $1,895. And not to worry if you don't have a ball gown at the ready. Lucas says helping guests get fitted with rented gowns and tuxes in St. Petersburg is easily done. If stepping back in time is not your style, there are plenty of other luxurious New Year's Eve options still available for last-minute decision-makers who have deep pockets. The Modern, in Honolulu, for instance, is still offering a New Year's package called "The Great Modern Experience 2014" for $114,000. For that price a private jet will fly eight people to the party in Hawaii from either Las Vegas or California. 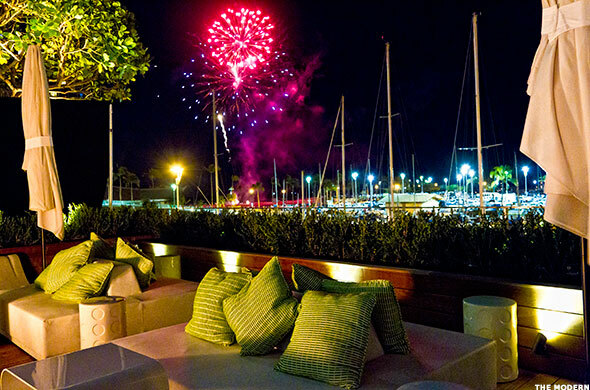 The package includes a four-night stay at The Modern in its penthouse suite, round-trip limousine transfer, a private Waikiki catamaran sail, VIP entrance to The Great Modern Experience 2014 party, two daybeds at the New Year's Day beach party at Addiction Beach Club, dinner for two at the Morimoto Waikiki restaurant, daily spa treatments for two and daily breakfast for two. "The package is for someone who wants an over-the-top New Year's Eve experience where they want to splurge," says Tyler Dickinson, who along with Matt Bendik, manages and operates Addiction Nightclub at The Modern. 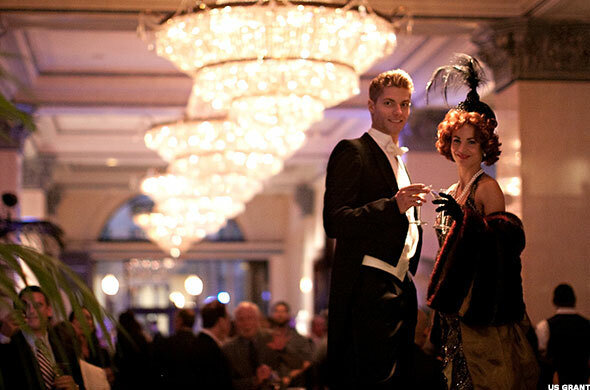 A roaring 1920s themed New Year's Eve extravaganza will take over The Modern for the evening, featuring multiple designated party areas throughout the hotel and a picture-perfect view of the midnight fireworks. "I think ringing in New Year's Eve in Hawaii is one of the most beautiful, relaxing and tranquil places on earth to be," Bendik says. "You get to enjoy that beauty of Hawaii and a really fun, modern party experience at The Modern, which is really gorgeous and the best property in Honolulu." Think New Year's Eve New England-style, with a splash of Broadway thrown in. 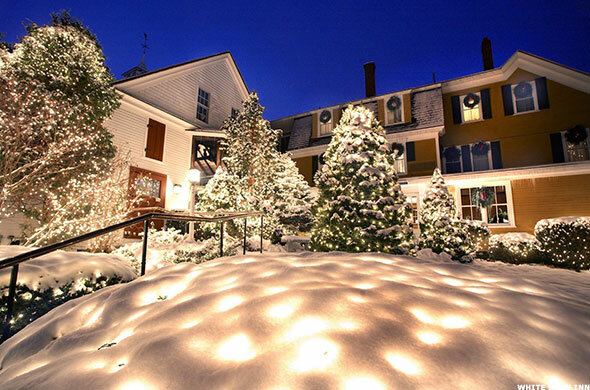 The White Barn Inn is saying goodbye to 2013 with a Broadway-themed evening. The celebration includes a cast of performers who have appeared on stages across the United States. There will be singing, dancing, fine dining, and after the midnight toast, a tour of the kitchen led by Chef Jonathan Cartwright. "It's going to be an experience," says Ben Frazer, the inn's restaurant manager. "This is not just dinner and accommodations. The entire property is devoted to making a really memorable evening ... Between the professionalism of the talent we have coming to perform, the five-star restaurant we really want to create an experience that has very long-lasting, warm memories." The cost to attend the celebration, which includes a six-course dinner, is $290 per person. That price does not include the cost of overnight accommodations. Any interest in owning a bottle of gin produced by a gangster during the prohibition? The US Grant celebration may be for you. The US Grant recently received two bottles of its own gin dating back to the 1930s, discovered by a guest in their home and returned to the hotel. The bottles are linked to Alfred Hart, an infamous mobster who was chased by the FBI for years, says Jeff Josenhans, director of banquets, restaurants and bars for the hotel. One of the bottles, which bear the label of Alfred Hart Distilleries, will be raffled off during the hotel's New Year's Eve party, and the odds of winning are pretty favorable. The raffle will include only the 12 buyers of VIP bottle service tables at the US Grant party, Josenhans says. "I have no idea what these bottles are worth, but as far as I know they are the only two in existence," he says. Tickets to The US Grant's party are $80 for VIP access with unlimited champagne, or $55 for general admission. Leave the city behind and revel in the pastoral tranquillity at Coworth Park in Ascot, England. The New Year's Eve package here includes such things as a one- or two-night stay, a complimentary bottle of Veuve Clicquot Champagne in your room upon arrival, afternoon tea, a film in the cinema room, a gourmet dinner and dancing in the Mansion House followed by midnight fireworks. On New Year's Day, brunch will be served and guests will have the option to participate in a chocolate master class with the property's chef, wine tasting with the head sommelier and use of all facilities at The Spa at Coworth Park, which includes an indoor pool and underwater music, among other things. 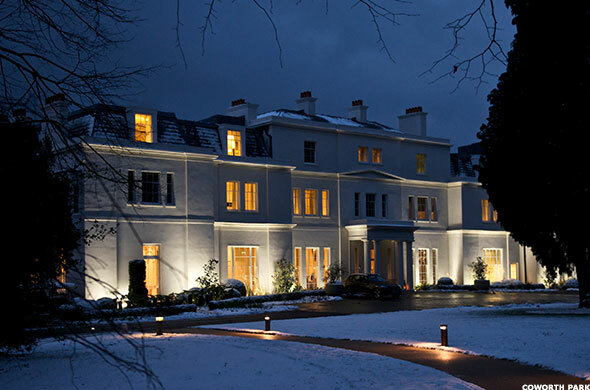 A one night New Year's break at Coworth Park from Dec. 31 starts from approximately $844 per person. 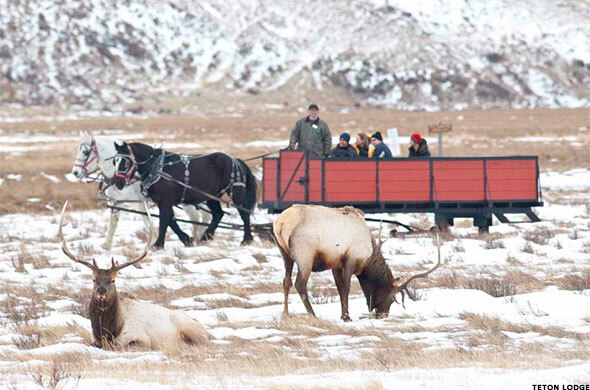 If your idea of New Year's celebration includes a glittering, snowy setting and a hot tub under the stars, look no further. Katrina Thompson, chef concierge for Teton Mountain Lodge & Spa, says the property's private rooftop hot tub is an ideal location to view New Year's Eve fireworks. Both Teton Mountain Lodge & Spa and the neighboring Hotel Terra, located slope-side, still have rooms available. New Year's Eve events include a torchlight parade down the mountain and music at Couloir Restaurant, a venue at the summit of Bridger Gondola some 9,095 feet up the mountain. "The restaurant's view overlooks the Teton Range, the valley, all of Teton Village and its lights," Thompson says. "Plus, on the ride up there you get hot chocolate." Tickets are still available to attend the musical part of the evening at Couloir Restaurant, which begins at 9 p.m. The cost is $75.